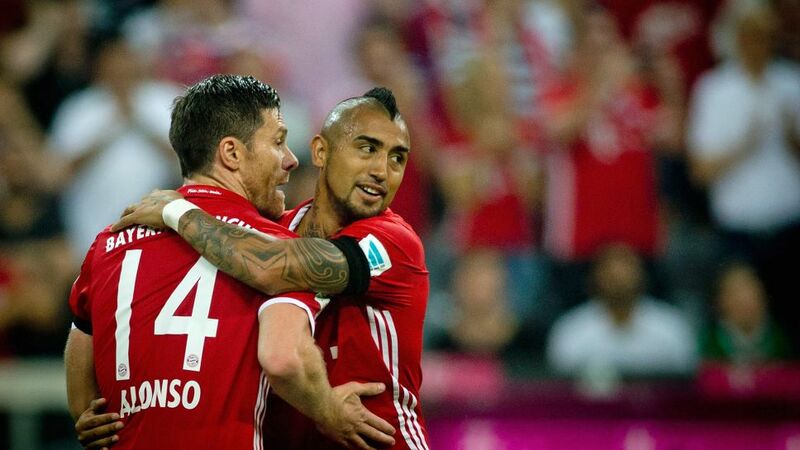 Bundesliga | Who is Xabi Alonso's heir as the king of passing in the Bundesliga? Xabi Alonso may have passed his crown to Arturo Vidal at Bayern Munich, but the Chile international is only the fifth-best passer this campaign. Who is Xabi Alonso's heir as the king of passing in the Bundesliga? The man whose name means ‘violinist’ in German, Dennis Geiger has been leading the Hoffenheim orchestra this term. At 19 years of age, he’s only just old enough to not require a regent to govern for him should he take over Alonso’s position as the king of passing. The youngster has shown admirable composure in his five appearances in the Hoffenheim first team this season. Filling the boots left by Sebastian Rudy’s departure to Bayern was never going to be easy, but Julian Nagelsmann appears to have found the ideal player, with Geiger stringing the ball to a teammate 93 per cent of the time. Already an established Bundesliga name at 21, Mahmoud Dahoud has quickly adapted to life at Borussia Dortmund following his summer move from Borussia Mönchengladbach, thriving under new coach Peter Bosz. A fixture in this Dortmund team setting the pace in the Bundesliga, Dahoud has picked out a player in black and yellow 93 per cent of the time – no easy feat in a team that loves to get the ball down and pass, and of all the players to feature in the top 20 for pass completion this season, no player has lost the ball fewer times than the Syrian-born German. One of the newest faces in the Bundesliga, Denis Zakaria made a flawless start to life in the German top flight. A derby win over Cologne on his debut and a goal seven minutes into his second game were nothing compared to the fact that the 20-year-old did not misplace a single pass in his first two Gladbach games! Unsurprisingly compared to Swiss compatriot Granit Xhaka, Zakaria has quickly filled the gap left by Dahoud’s departure. Indeed, he boasts a better pass-completion than his predecessor, with 94 per cent of his attempted 194 passes finding a fellow Foal. Click here to discover the Bundesliga's top 10 speedsters!